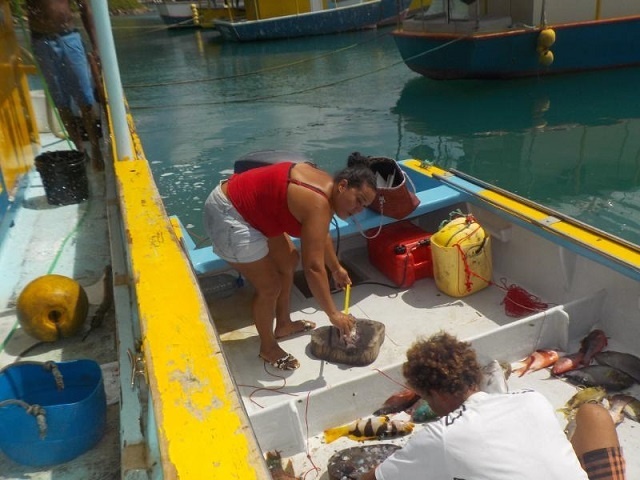 (Seychelles News Agency) - The fishing community in the Seychelles has called for more measures to better manage some of the island nation’s endangered species and make artisanal fisheries more sustainable, including limiting the size and amount of fish caught. The new call follows the completion of a project by the Green Islands Foundation (GIF) – a not for profit organization – which developed a baseline of threatened species in the artisanal fishery through fisher interviews, consultation, literature review and an intensive 12-month survey of artisanal catch. Some of these fish feature on a list of 15 species which are classified globally as endangered. The fishing community is calling on the Seychelles Fishing Authority (SFA) to put measures in place to control the amount and size of fish caught by artisanal fishermen. The agreed set of measures endorsed by the fisher community is aimed at minimising the impact of artisanal fishery on these species. “The project fits in the country's Blue Economy strategy to reduce fishing pressure and promote sustainable management of artisanal fisheries,” explained Wilna Accouche, the Chief Executive of the Green Islands Foundation. 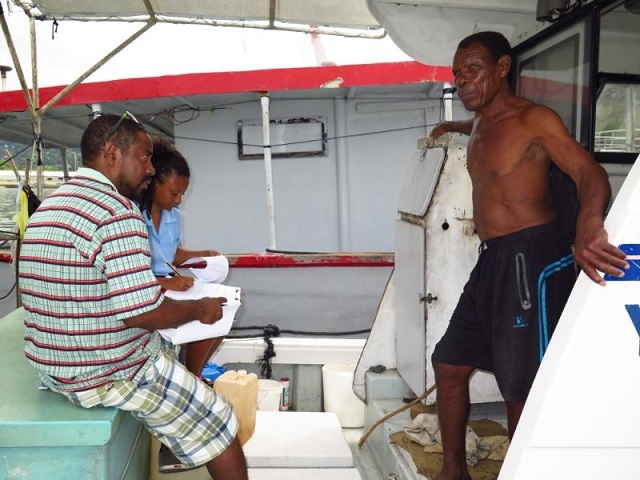 The information was collected during an intensive survey of the artisanal catch in 2017 at seven key landing sites and points of sales in Mahé – the main island of the Seychelles archipelago in the western Indian Ocean. The exercise revealed results on the size of fish being caught, methods of fishing that had more impact than others, species of fish that was more commonly fished and the times of the year they were caught. “These results were used to discuss potential and practical measures that fishermen thought they could start to voluntarily implement. The agreed measures were presented to the authority. It is expected that the measures will be formulated into regulations that are permissible under the Fisheries Act of 2014 that allows for co-management,” explained Accouche. The group is engaging with the SFA to incorporate the effective time span of the provisions in line with the duration of the Mahe Plateau Demersal Fishery Management Plan to properly monitor the artisanal fishery and enforce the threatened species provisions to ensure their effective implementation. Some of the threatened species which the study revealed includes the humphead wrasse, the scalloped hammerhead, great hammerhead and the ornate eagle ray. The Chief Executive of the SFA, Ronny Renaud, said that the proposed measures will be reviewed and then presented to the board of directors of the authority. “Then we will do what we call domestication of the measures in the regulations within the fisheries act. These will then be enforced and same will be brought to the government for their endorsement,” explained Renaud. GIF hopes that, with this bottom-up approach, fishers will be able to demonstrate the feasibility of the fisher-led management of fish stock and threatened species conservation. Florent Pool from the Roche Caiman Fishermen Association said their community is fully supportive of the measures. “It is important for artisanal fishing to understand the importance of not catching juveniles,” said Pool. This project was conducted in partnership with Fishermen Associations from Roche Caiman and Bel Ombre, the Artisanal Sharks’ Fishers Association, Fishermen and Boat Owners Association, the Seychelles Fishing Authority as well as fishers around Mahe.